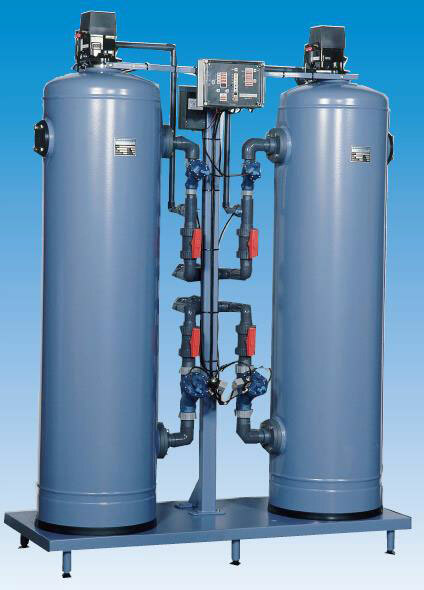 The main advantages of dealkalisation over water softening in boiler systems includes a reduction in the frequency of blowdown operations (reducing water hardness), while in brewing it is generally used to adjust critical bicarbonate levels within the water through its blending with raw water. Satec Service Ltd are able to supply dealkalisation systems, along with their associated service and spare parts, as the UK distributor Eurowater. They can also offer full systems for the generation of boiler feedwaters that typically comprise a combination of dealkalisation, carbon dioxide deaeration and water softening stages.